Sea View - A view from the Hard Rock Hotel Vallarta. 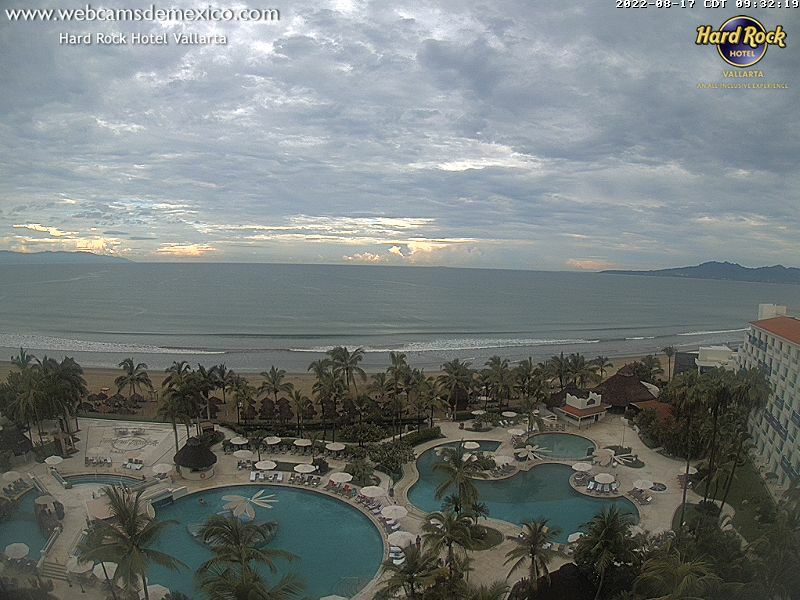 Nuevo Vallarta: Dreams Villamagna Nuevo Vallarta, 1.1 mi. 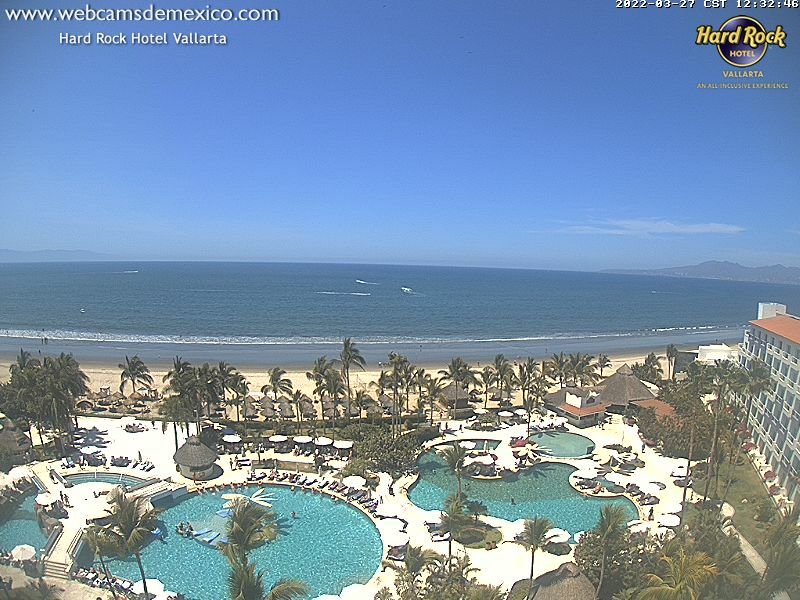 Puerto Vallarta: Puerto Vallarta Playa, 5.6 mi. 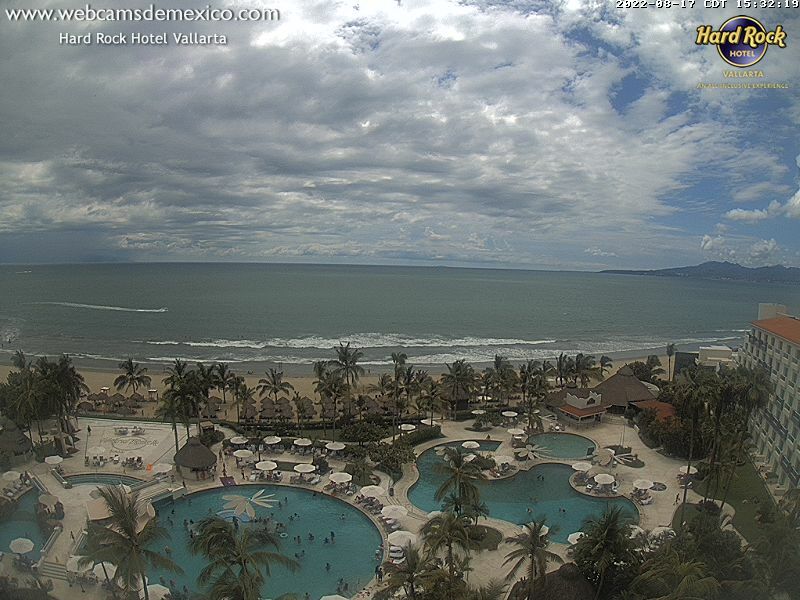 Puerto Vallarta: Puerto Vallarta Sur, 9.4 mi. 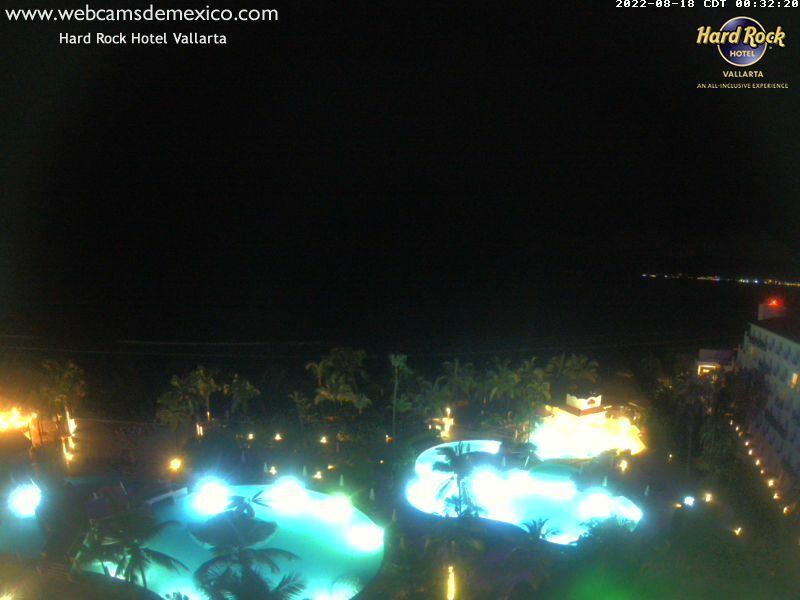 Guadalajara: Expiatory Temple, 125.3 mi. 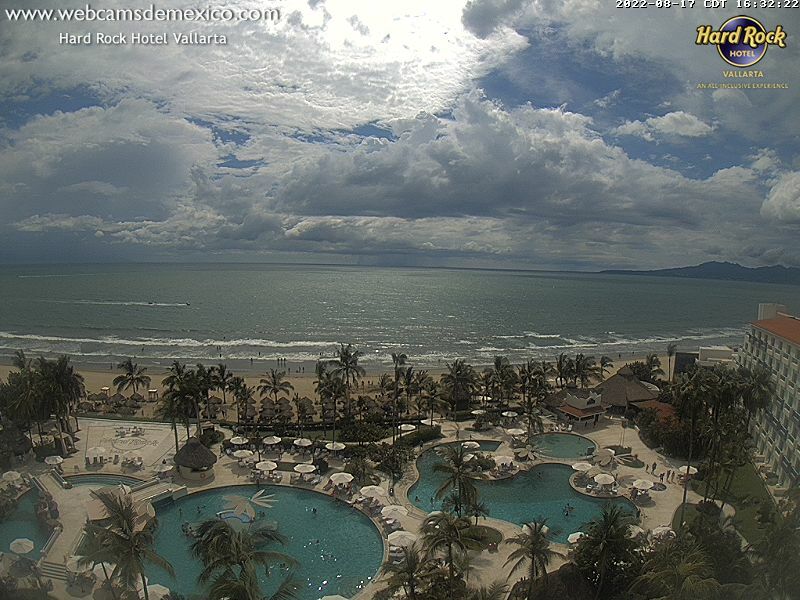 Manzanillo: Playa La Audiencia, 126 mi. Guadalajara: Plaza de Armas, 126.1 mi. 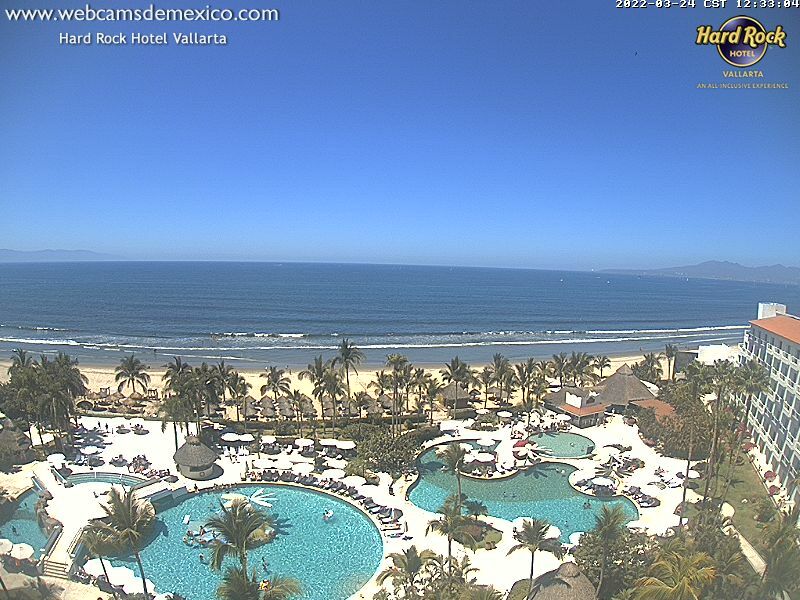 Guadalajara: City Panorama, 126.3 mi. 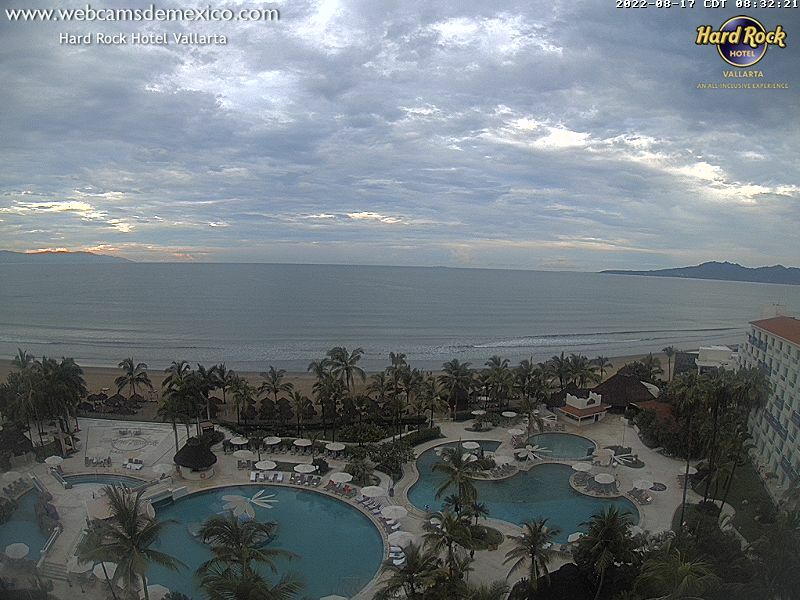 Manzanillo: Plaza Principal de Manzanillo, 130.2 mi. 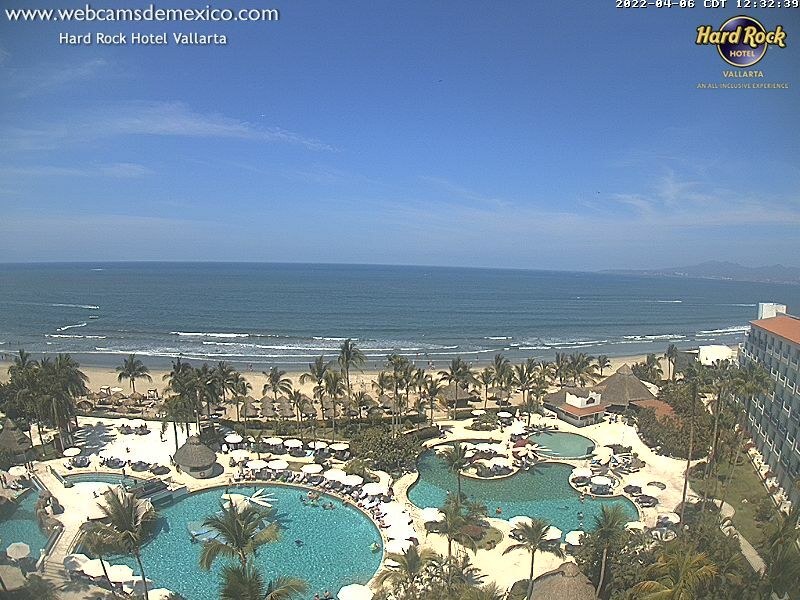 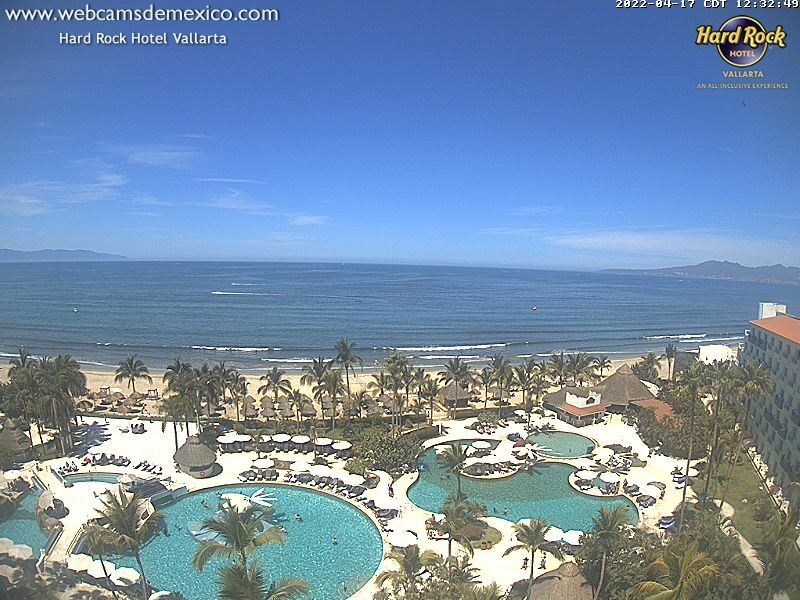 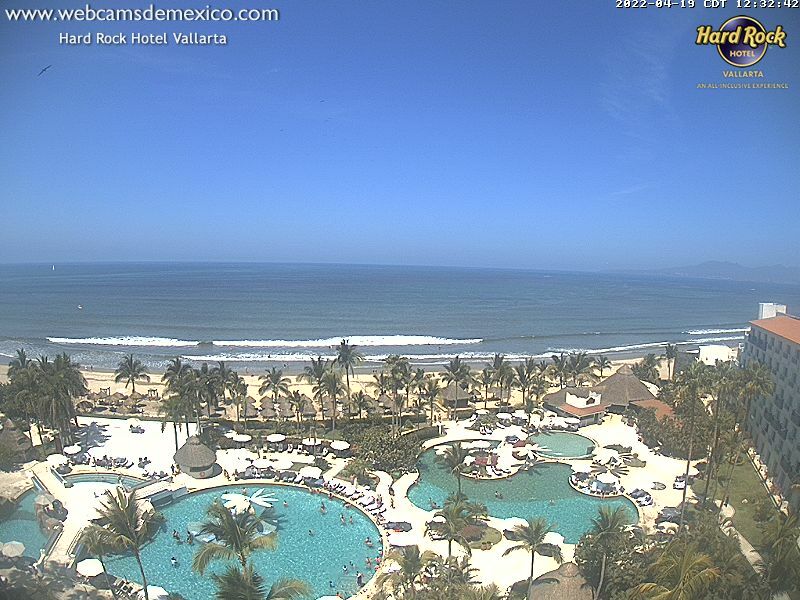 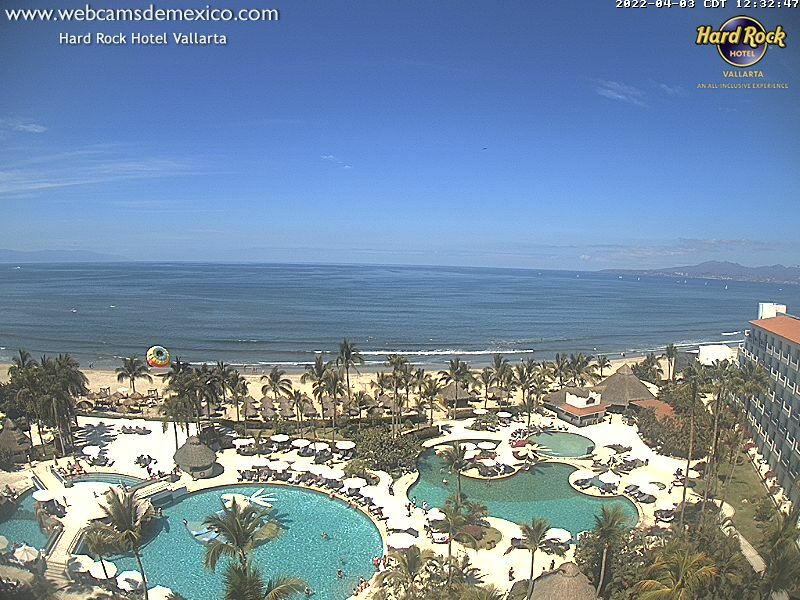 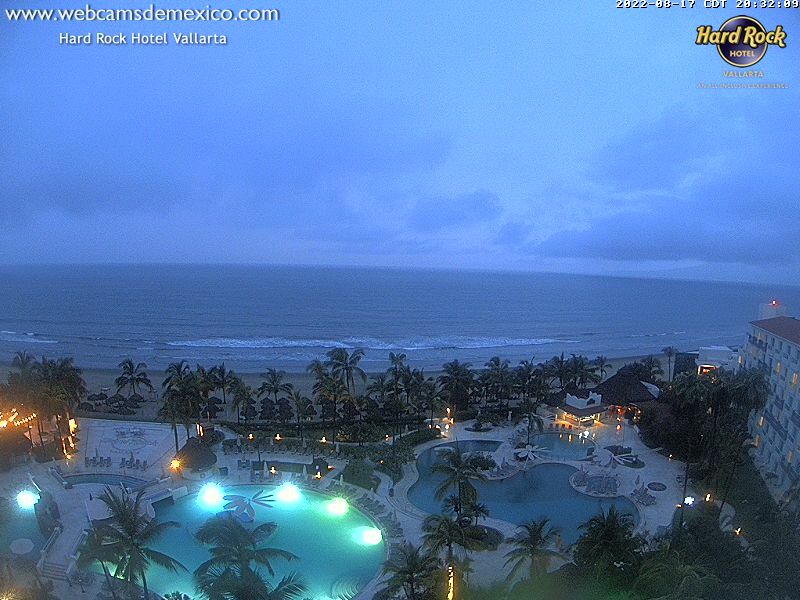 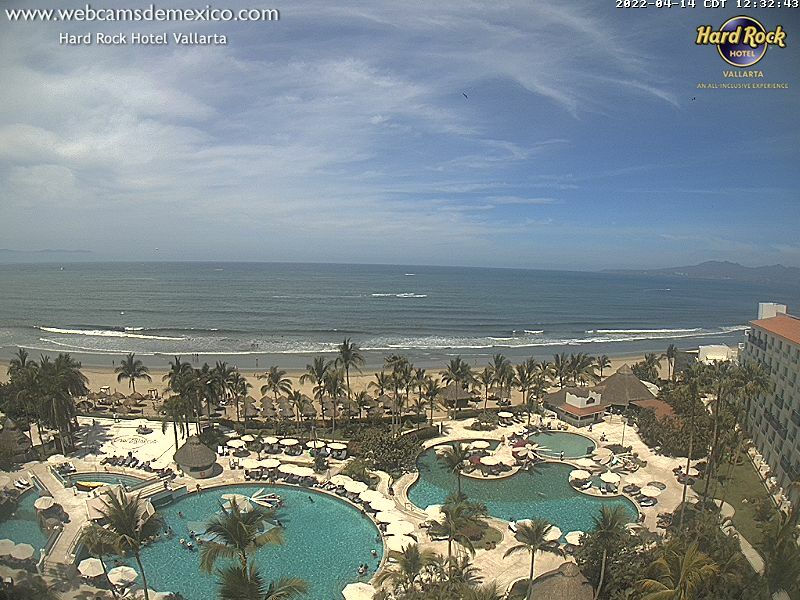 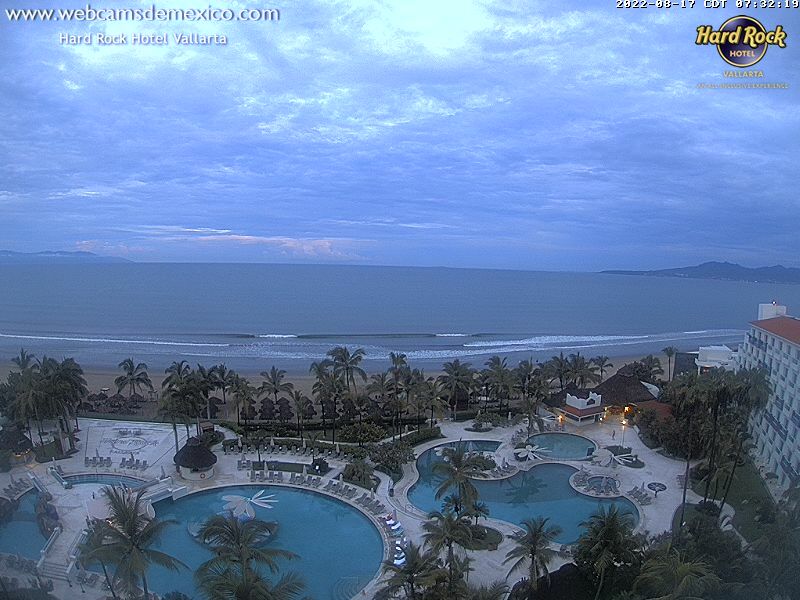 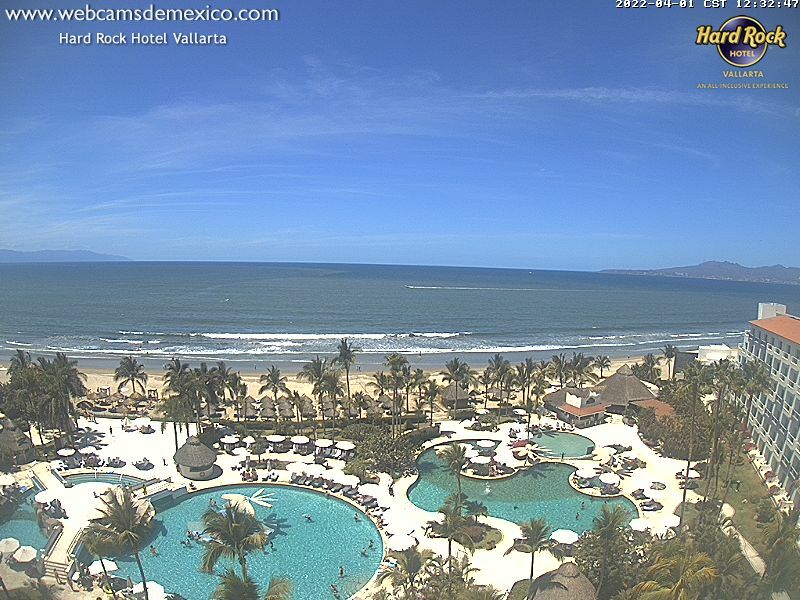 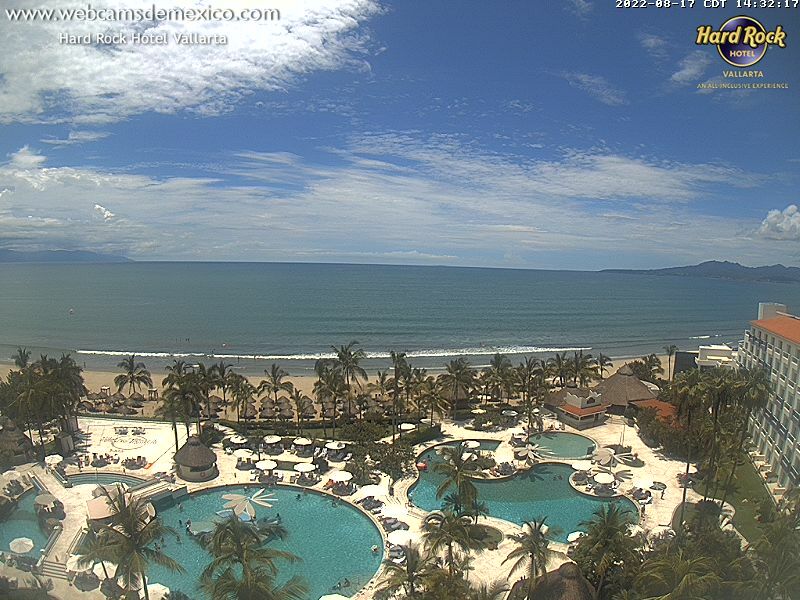 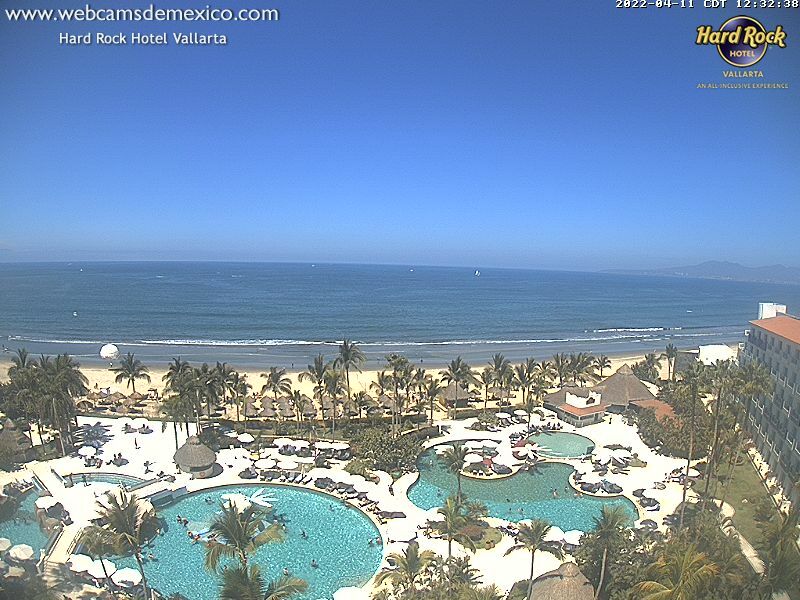 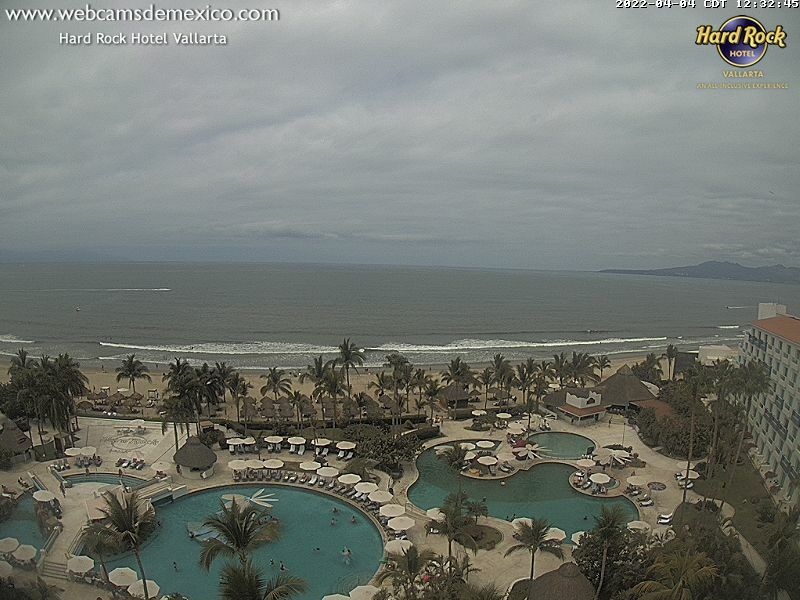 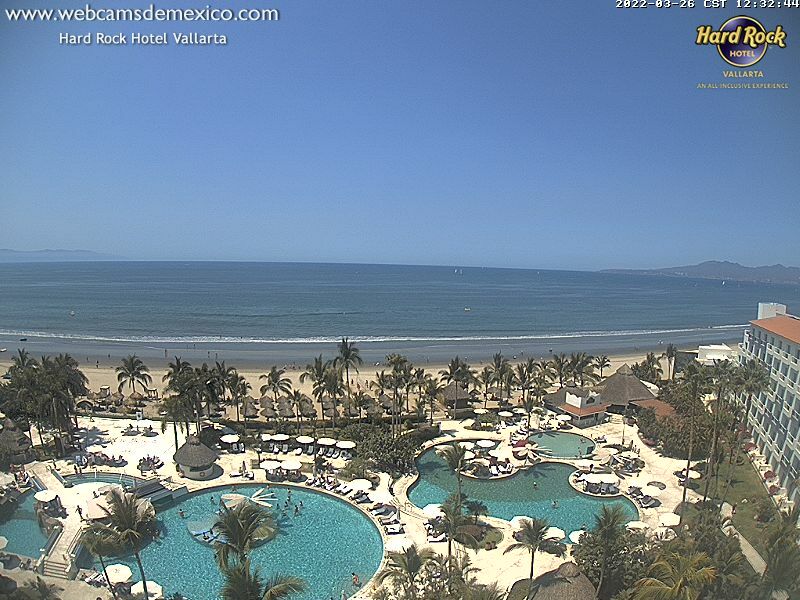 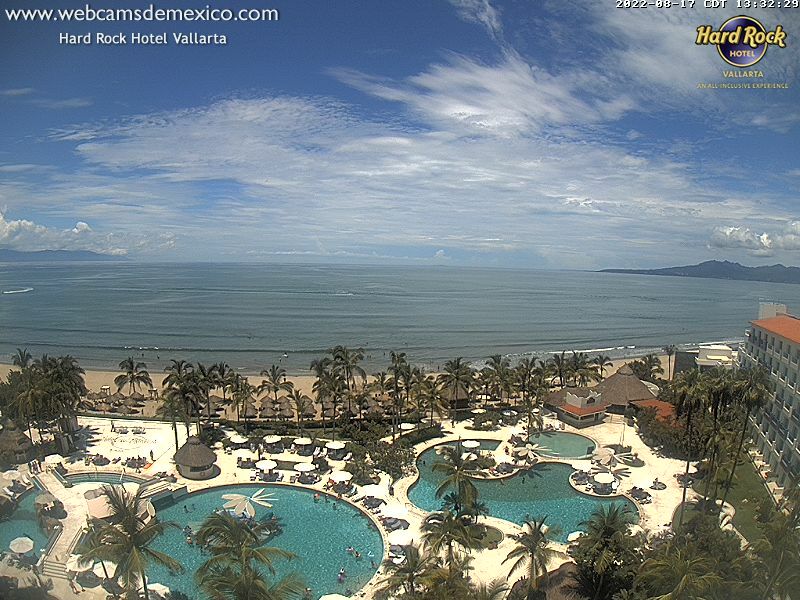 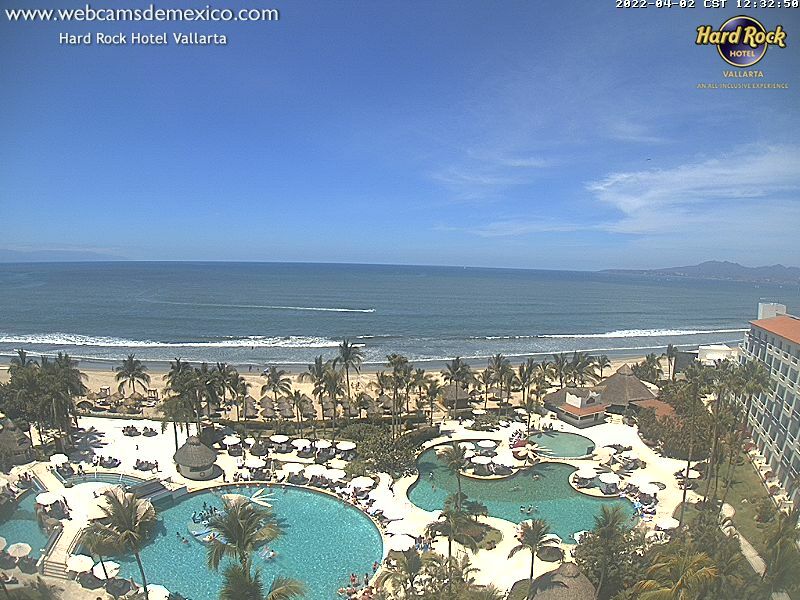 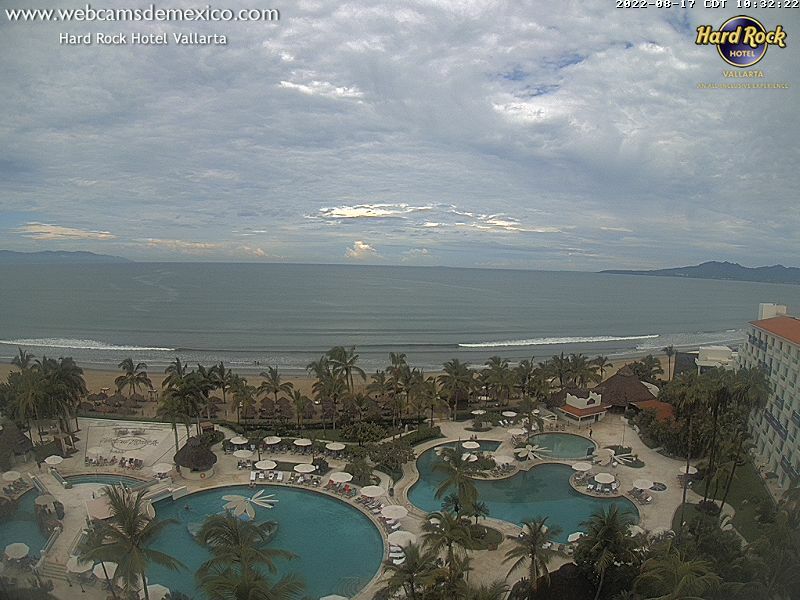 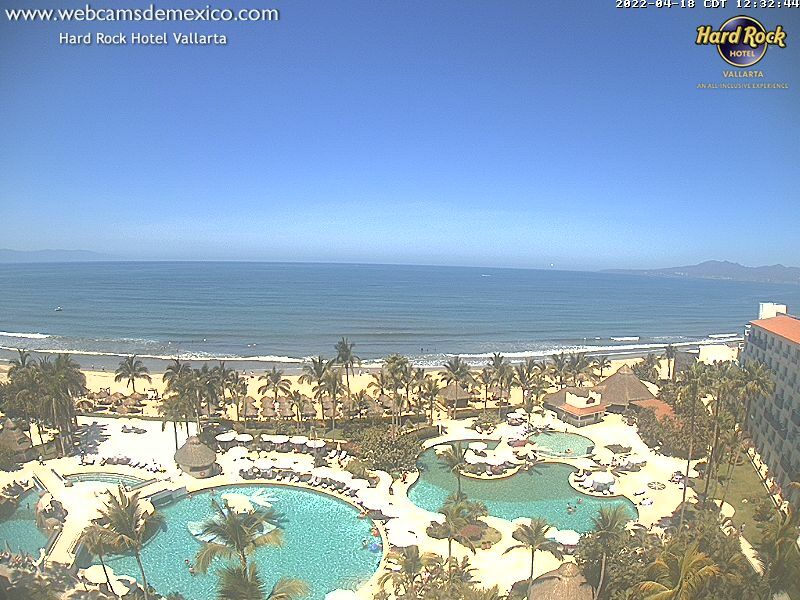 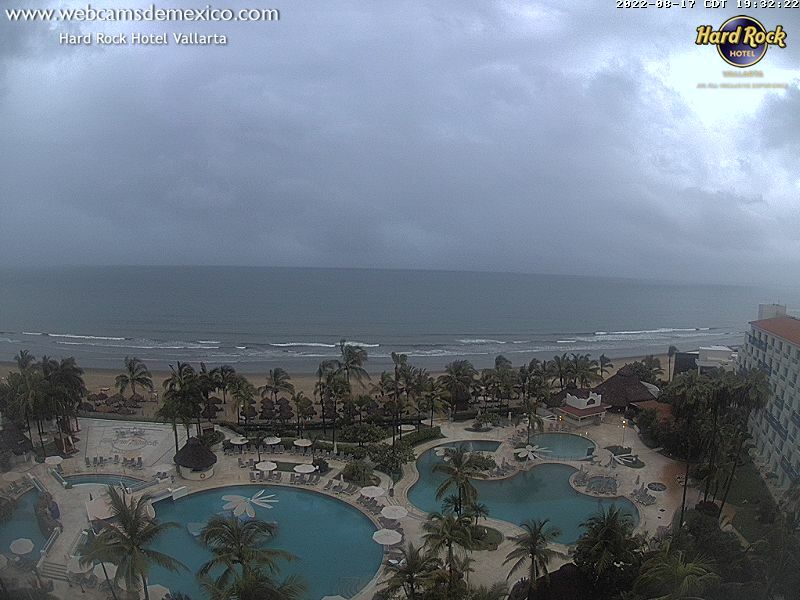 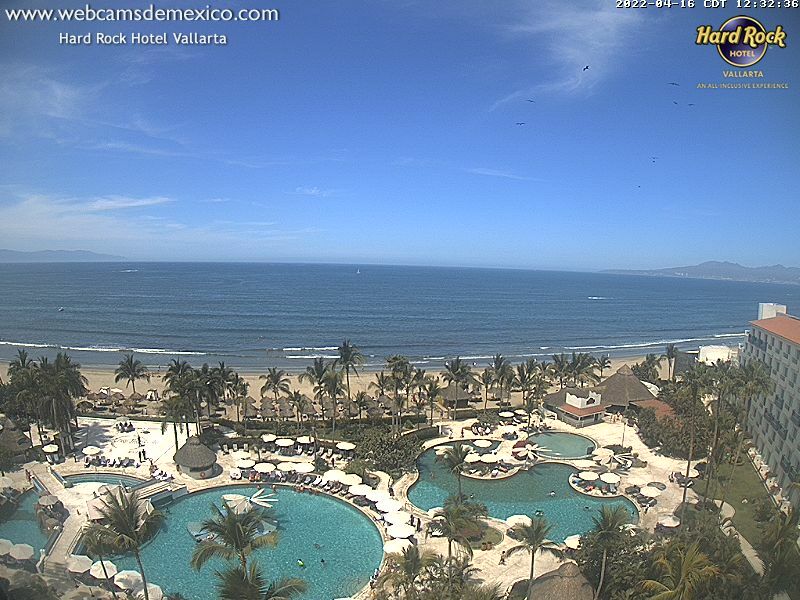 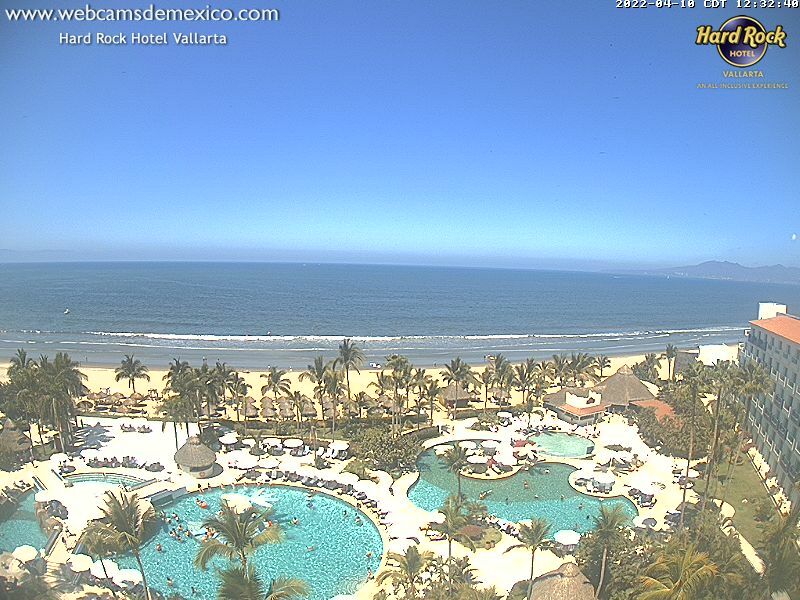 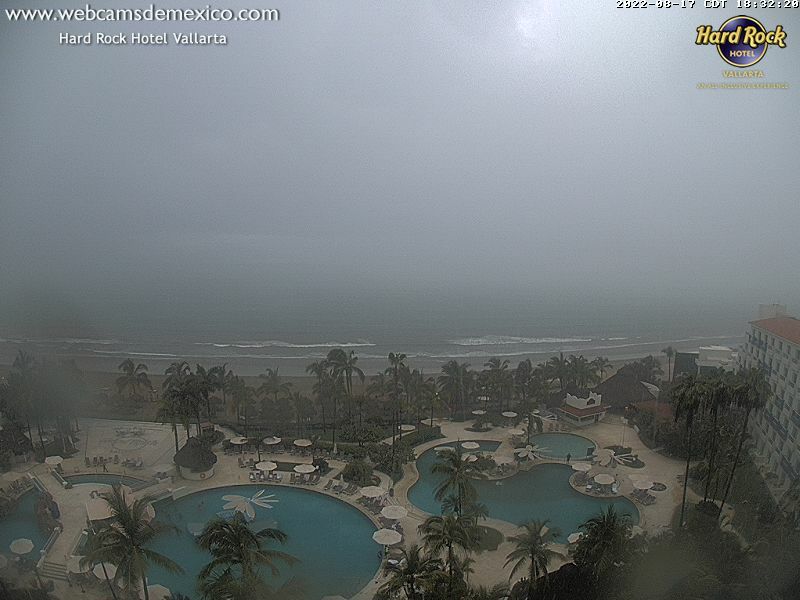 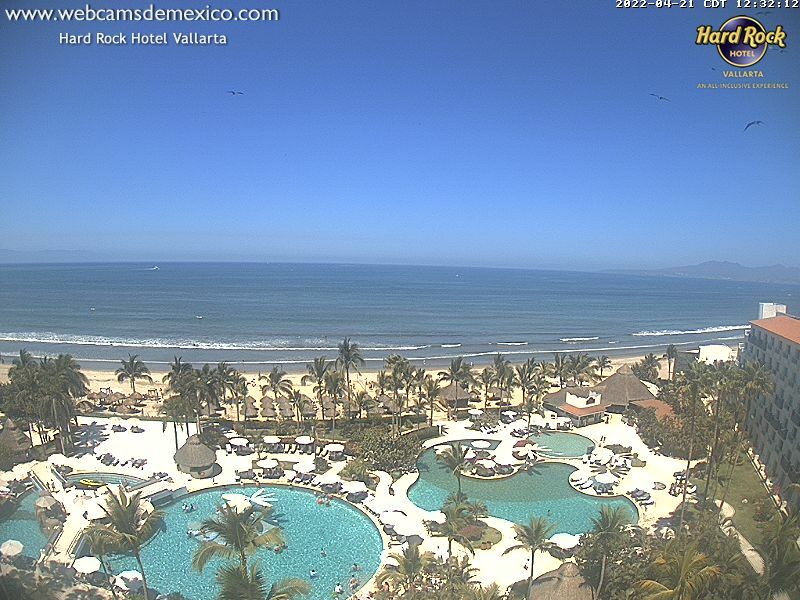 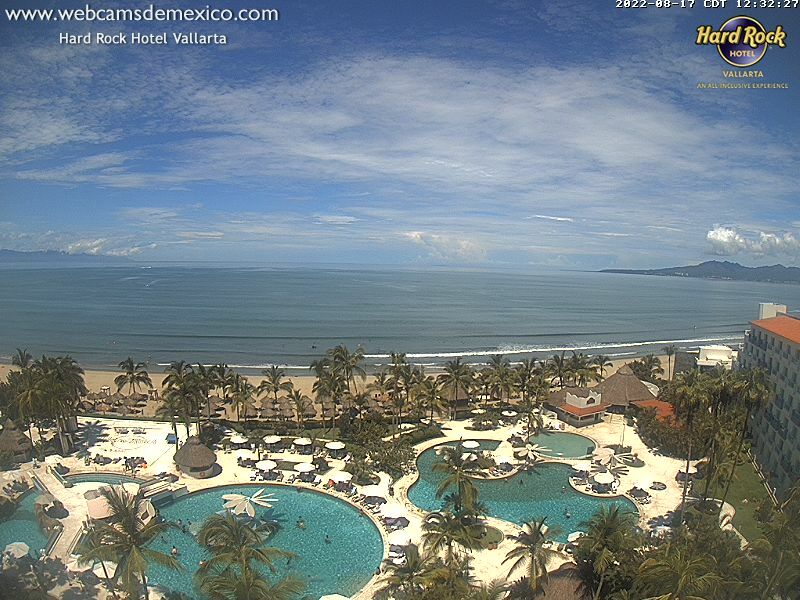 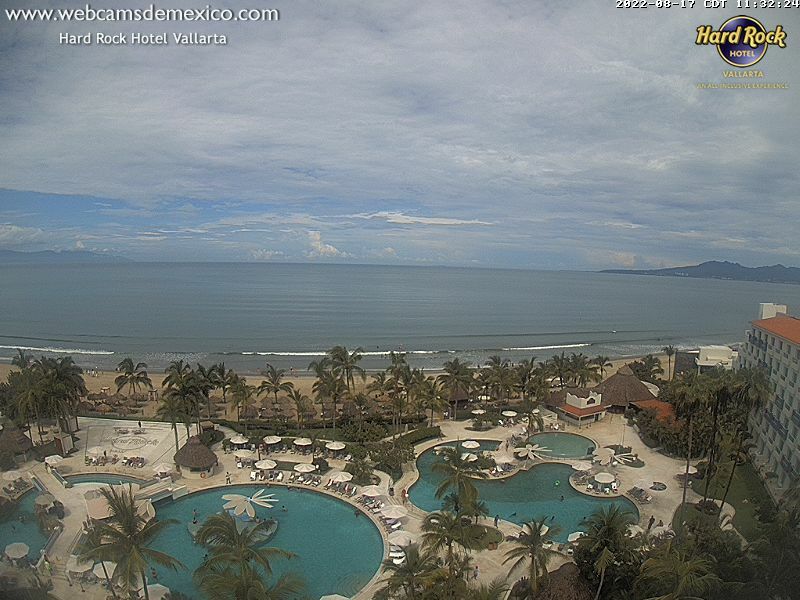 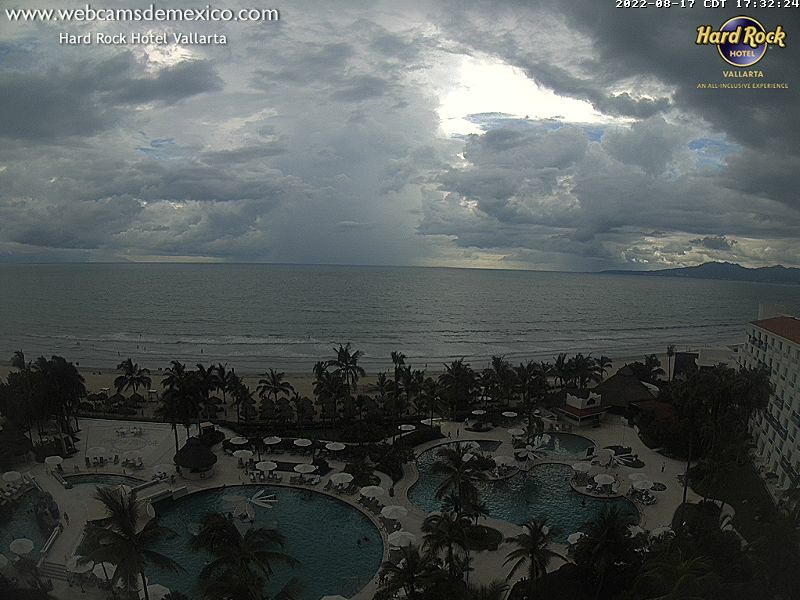 This webcam Nuevo Vallarta with the theme Seaview was added on April 12, 2019 and is operated by webcamsdemexico. It got 54 visitors since then. Shouldn't this webcam work or should the link be wrong please report that here. You can add this webcam here to myCams.